The Indian Space Research Organization (ISRO) is right now working on it’s heaviest communication satellite ever created: GSAT-11 which weighs 4000 kgs. Equivalent of 150 transponders, GSAT-11 can revolutionize telecommunication and broadcasting protocols in the country. This geo-stationary communication satellite is right now being tested at Ahmedabad’s Space Applications Centres (SAC), which earlier played crucial roles in developing Chandrayaan and Mangalyaan missions. 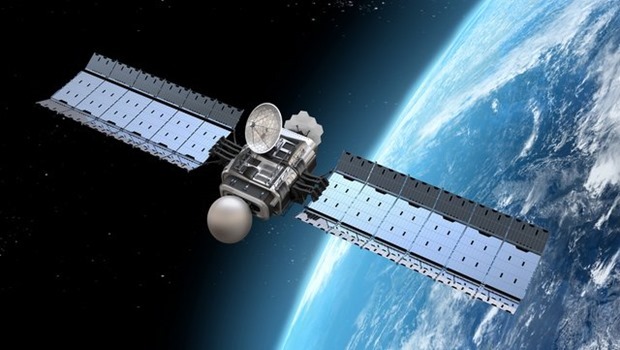 As per Tapan Misra, who is the Director at SAC, once launched and operational, GSAT-11 can transmit data at a speed of 10 Gigabytes per second to the entire nation. Further, it will eliminate the usage of cables and wires to transmit data, and both Internet and TV can be powered by this huge 4 tonne satellite. Additionally, it can be also used to power smart cities which are being planned in India. This will broadcast data to dongles which will be connected with TVs in every household. Hence, the satellite can directly power TV broadcasting and Internet services in the same bandwidth, at high speed. Indian Govt. approved the creation of GSAT-11 in 2009, when it allocated a budget of Rs 500 crore for the same. It weighs more than double as much as the biggest Indian satellite in orbit right now. GSAT-11 can provide 10 GHz of bandwidth, which is equivalent of 220 transponders with bandwidth of 36 Mhz. The satellite has four antennas of 2.8 meter diameter each. Not only it can transform the way Direct to Home (DTH) services are being accessed, but it can also enable high speed Internet connectivity within the same bandwidth. It can especially be useful in those remote areas where our Govt. hasn’t been able to spread wired connectivity. Including Andaman and Nicobar Islands, GSAT-11 is being designed to cover the entire country. As of now, the satellite is undergoing flight modeling at SAC, Ahmedabad, and as per Tapan, it will be launched by the end of 2015. It will have an expected lifetime of 15+ years. "GSAT-11 Satellite Will Transmit Data At 10GBPS Speeds; Can Transform Internet & Entertainment In India: ISRO", 5 out of 5 based on 1 ratings. This report is now outdated as GSLV Mark III is nowhere to launch a satellite before Dec,2016 & GSLV Mark III’s payload capacity is only @ 3 tonne. It was known from ISRO’s internal meetting is that GSAT-11 will be launched by the end of 2017 only. This sounds fantastic! :) But what are these “ground WiFi stations” for? Why can’t we just receive signals from the satellite directly, like a DTH dish does?